Operation Corkscrew, the assault on the small Italian island of Pantelleria in June 1943, was partly operational and partly experimental. It would be a useful toe-hold for the planned invasion of Sicily and Italy and it would serve to test the effectiveness of large scale bombing on strong, entrenched enemy defensive positions, prior to the landing of troops. 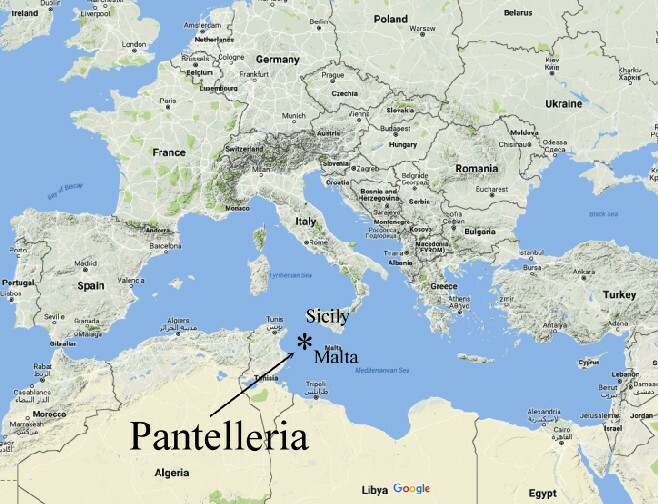 Pantelleria is a small rocky island measuring 8.5 by 5.5 miles. It lies in the channel between Tunisia and Sicily about 140 miles NW of Malta. Its strategic position gave it control over shipping movements in the East/Central area of the Mediterranean. As early as the latter half of 1940, Keyes proposed to Churchill that the capture of Pantelleria by amphibious landing was feasible. 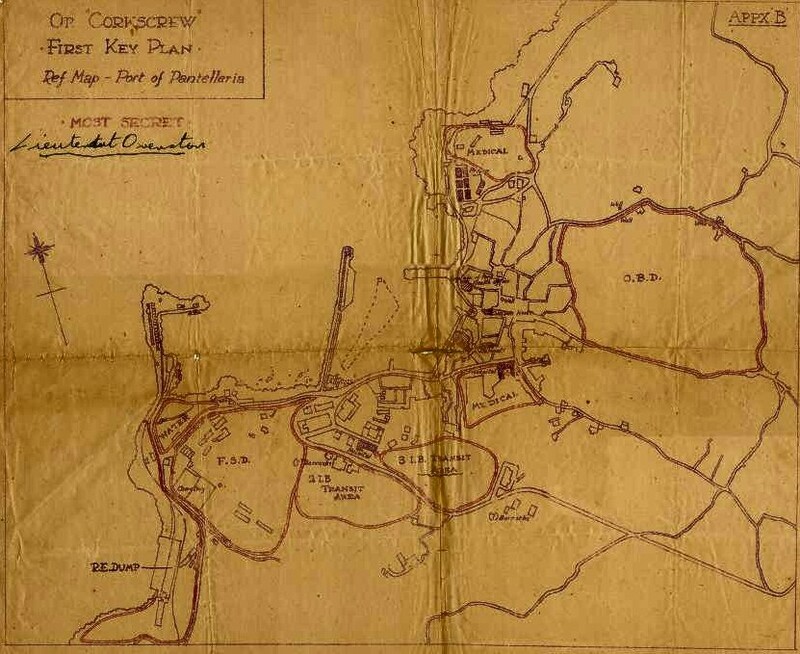 It would restore Allied control of the East/Central Mediterranean, thereby easing the transport of essential supplies to the vital island fortress of Malta. Additionally, the use of the alternative 'safe' route around South Africa's Cape of Good Hope to Port Said and Alexandria in Egypt would no longer be necessary in most cases. This would reduce the return trip to just over 6000 miles - a saving of 18,000 miles. Whilst the Chiefs of Staff agreed with Keyes that the island could be taken, they were less optimistic that it could easily be held. Defending the island could, in their view, exacerbate the problems being experienced in supplying Malta. These forthright views were also held by Admiral, Sir Andrew Cunningham, who commanded the Mediterranean Fleet. Despite these strongly held views, Churchill allowed Keyes to take personal command of the operation. He was authorised to withdraw 2000 of his commandos from the operational control of GHQ. They underwent training at Inveraray and Lamlash on the Island of Arran in the estuary of the River Clyde. The commandos would be transported on the "Glen" ships attached to a fast convoy, which was shortly to run the gauntlet of the Axis forces in the Mediterranean. Their final destination would be Malta but the Glen ships would peel off to seize the island. Once ashore, the two armies would be so enmeshed that the Italian air-force would be unable to intervene. It would be an unequal contest between an eager, well trained, volunteer force and an Italian garrison taken by surprise. The convoy was ready to sail on the 18th December 1940, passing through the Straits of Gibraltar on the 28th. However, at the 11th hour, German dive-bombers were positioned in Sicily, which initially postponed the operation before it was abandoned altogether. Keyes was furious. His already acrimonious relations with the Chiefs of Staff, the First Lord, Admiral Cunningham and everyone he considered had given craven advice, erupted in the form of numerous memos to Churchill; but all to no avail. 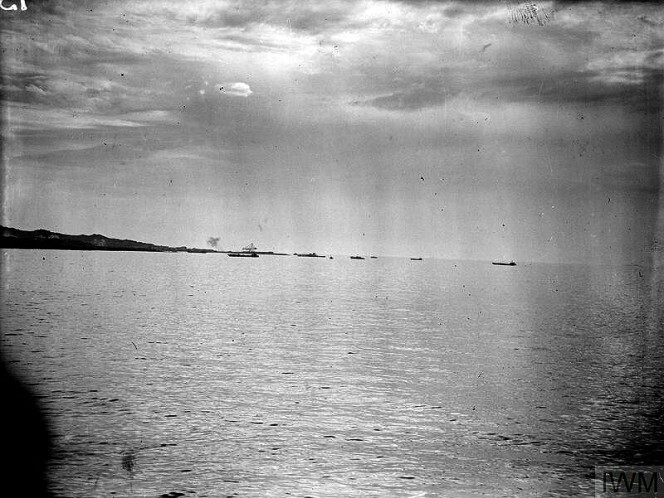 In the event, the convoy minus the Glen ships, had a tough passage through the Mediterranean. The aircraft carrier, Illustrious, was damaged by 6 heavy bombs and 3 near misses. With the benefit of hindsight, the diversion to Pantelleria was unlikely to have taken place in these changed circumstances. In the spring of 1943, the focus once more turned on Pantelleria, as plans for the invasion of Sicily and mainland Italy were prepared. The main objectives were to gain a toe hold on Italian soil prior to the invasion of Sicily and to assess the effectiveness of intensive bombing of enemy defensive positions in advance of the landing of troops. By then, intelligence sources indicated that the garrison on the island was 12,000 strong in well-entrenched pillboxes and 21 gun batteries of various calibres. Professor, Sir Solly Zuckerman, prepared a 238 page scientific assessment of the impact of an intensive bombing raid. 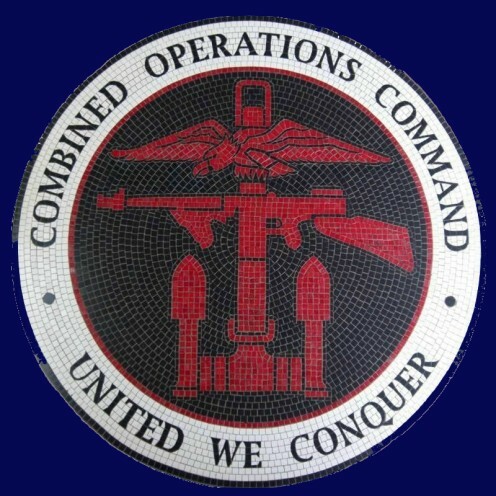 It concluded that a 30% reduction in enemy material resources would greatly weaken resistance. In June of 1943, 14,203 bombs, amounting to 4,119 tons, were dropped on 16 batteries. Out of 80 gun emplacements bombed, 43 were damaged, 10 beyond repair. All command and control communications were destroyed, together with ammunition stores, air-raid shelters and all the elements of a WW2 artillery system. About an hour before the landing craft reached the beaches, heavy ships opened fire. When the first of the Commandos landed after the bombardment, the white flag was already flying. Churchill later recorded in his memoirs, that the only casualty was a man bitten by a mule! Zuckerman's analysis on the impact of the bombing and his recommendations as to the conduct of the bombing, proved to be amazingly accurate. It was not necessary to disable all or most of the guns. The human factor was likely to be the weakest link. In the event, the Axis defences were 47% effective at the time their forces surrendered - enough to have inflicted great damage on the invading force. 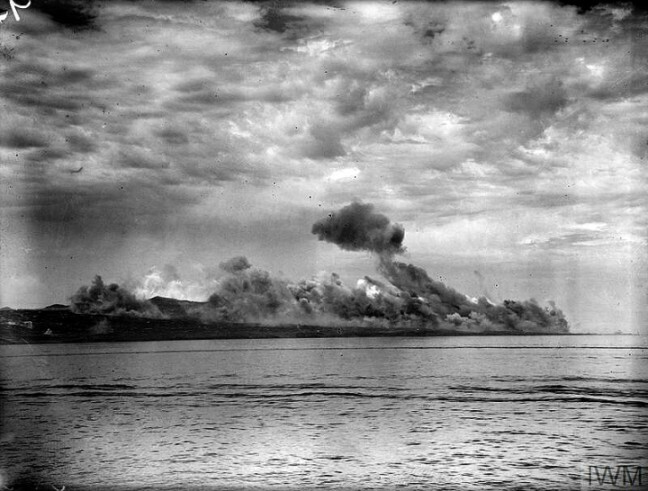 There was, however, an unfortunate consequence of the bombing of Pantelleria. There was a developing belief that the dropping of a large number of bombs on enemy strong points, in advance of troop movements would ".. make land movements a matter of flitting from one dazed body of enemy troops to another." Air Chief Marshall Tedder, Royal Air Force, took the contrary view when he wrote in a memo, "Pantelleria is becoming a perfect curse." Nonetheless, it was a very successful operation, achieving much at minimal cost. The Watery Maze by Bernard Fergusson. Published 1961 by Collins.